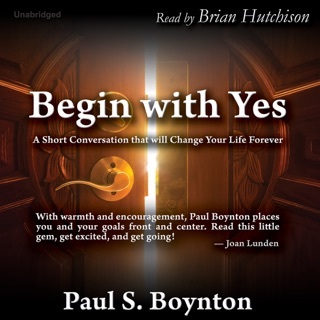 Paul Boynton's best-selling book Begin with Yes has reached around the world, helping people learn how to dream again and take the first steps toward turning those dreams into reality - then keep going. Now the author tackles two of the major areas of pain in many people's lives: health and fitness. Unlike many books on this topic, Boynton doesn't outline a complicated system of exercise and nutrition. Instead, he leads you through a gentle conversation that deals with your unique desires, fears, and inner challenges. This book is designed to work hand-in-hand with any fitness program that matches your abilities and style. 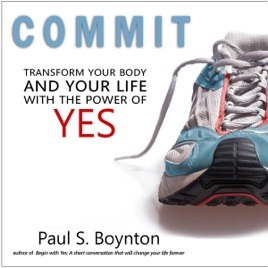 The author shares stories of his own struggles and how he has learned to apply the Begin with Yes principles to bring joy, acceptance, and achievement into his journey of lifelong health. Paul Boynton's gentle approach will help you acknowledge old hindrances, resolve fears and inadequacies, and break out of inertia into the kind of action that will change your life forever.